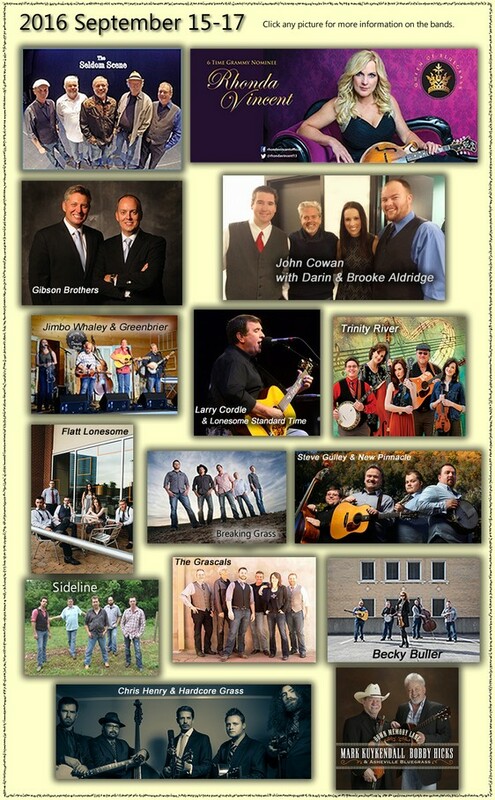 The Dumplin Valley Bluegrass Festival is one of the best festivals in the Smoky Mountains, and almost unheard of. This year the 3-day festival happens September 15-17, at the same time as the Rod Run in Pigeon Forge – so if you want to drive a few miles out of town up to Kodak and get away from the snarl, you can trade motors for music. 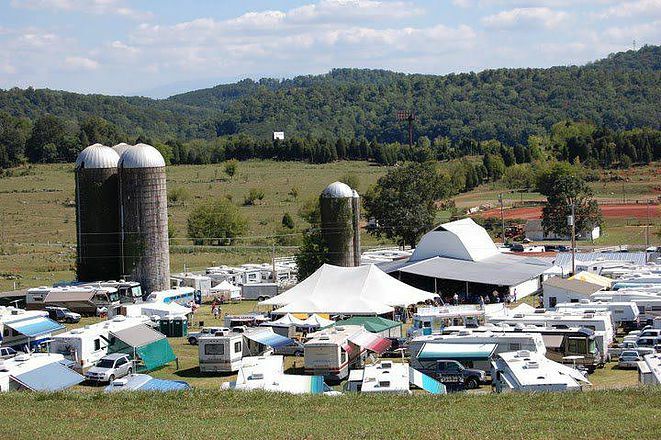 The Dumplin Valley festival is on a farm with an RV camp, and people book months or even a year ahead of time to be there. The festival is open to day trippers however. For a limited crowd of around 3,000, the music is astonishingly rich, with top-rated acts performing a mix of bluegrass and some country too. Rhonda Vincent and The Rage headlines the event with more than a dozen other highly talented and acclaimed acts. Shows happen from noon each day until late at night, and get supplemented with several jam sessions in the camper village. Lots of non-professional musicians bring their instruments to this festival, and music is definitely in the air. Dumplin Farm has 170 RV hookups, booked well in advance, and a camping tent village opened for the festival as well. The crowd is super friendly, and kids love the event – the Farm is very focused on kid comfort and puts on a great Easter Egg hunt each year too. Kids under 12 get in free, and no alcohol is allowed. The festival features a lots of food, with some great home cooking, as well as a spacious lawn for kids to romp on, and – a family-friendly miracle in itself – clean restrooms. Day tickets are $30, and just show up at the gate – no reservations required, there’s plenty of room. 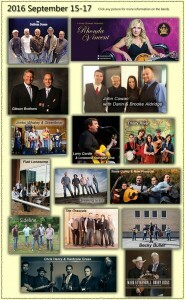 Also check the Dumplin Valley Bluegrass Festival website for the Festival Schedule and directions to the farm. It’s only 25 miles from Gatlinburg and it’s a pretty drive. The Facebook page has the latest news and photographs. TIP: If you’re looking for a place to stay while you’re here, we have a HALF-PRICE special on all remaining cabins during the weekend, Friday night through Sunday night, September 16-18. Call us 24/7 at 855 91 SMOKY to find out more or to book a cabin. ALSO – the following weekend is half price, and all September during weekdays (Sun-Thurs) we have Buy 2 Get 2 Free – a great way for a more quiet stay here. Find all this and more on our Specials page.